Lots of recipes have the line “1 medium onion, diced” in the ingredients. Not too many of them show you how to do that. Here’s a simple way that’s easy to learn and pretty quick. First, cut the pointy end off. 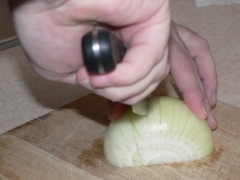 Then put the cut end on the cutting board and cut it in half straight down the middle. Now that you have it split, it’s much easier to peel the papery outer layers off. Now comes the real dicing. 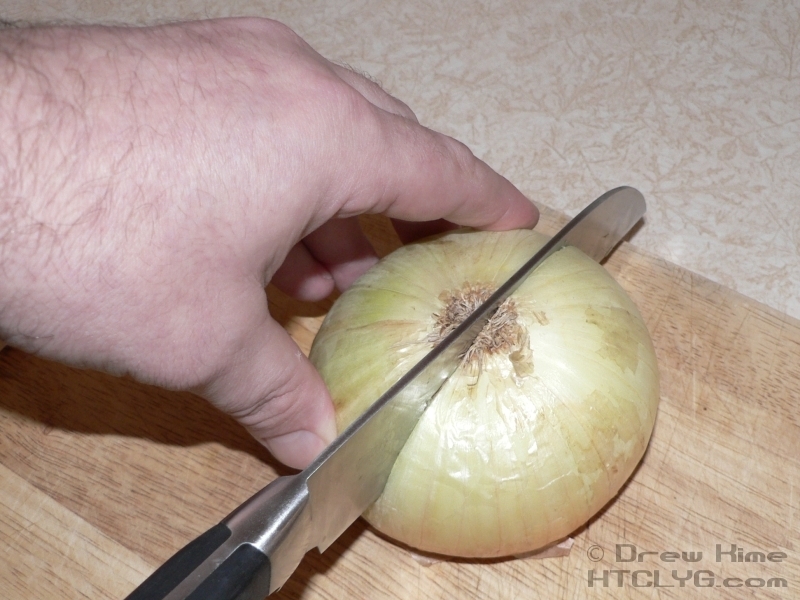 Cut down and in, starting at one side and moving across to the other. The closer you make these cuts, obviously the smaller the dice will be. 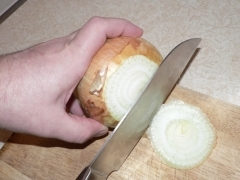 Notice in the picture that I’m starting with the tip of the knife about a half-inch away from the root. 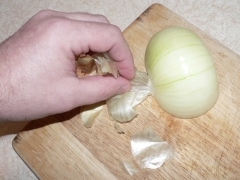 You don’t want to actually separate all the pieces from the base yet, and it’s surprisingly easy to misjudge how the length of you knife will compare to the round onion. 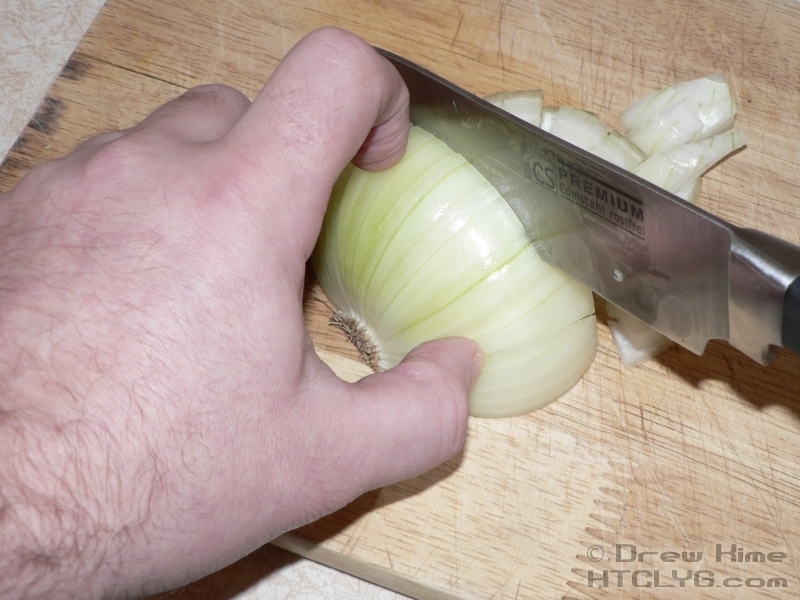 Continue making cuts all the way across the onion. Once you’ve made cuts all the way across, cut straight down cross-wise up to about a half-inch from the root. If you hate waste — or your mother drilled into you that you should never throw away food — once you get close the the root, turn what’s left on it’s end and finish dicing. The important part here is not to get the solid piece of the root into what you’re cooking. 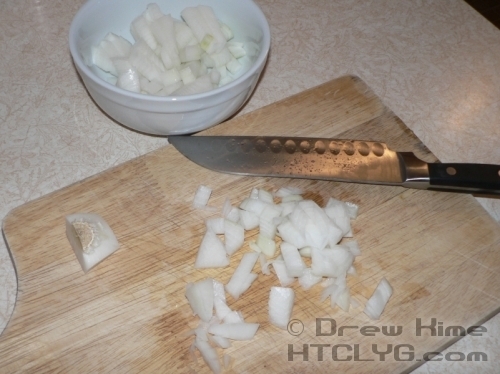 It’s better to throw out one or two little pieces that could be used than to cook a solid chunk of root. 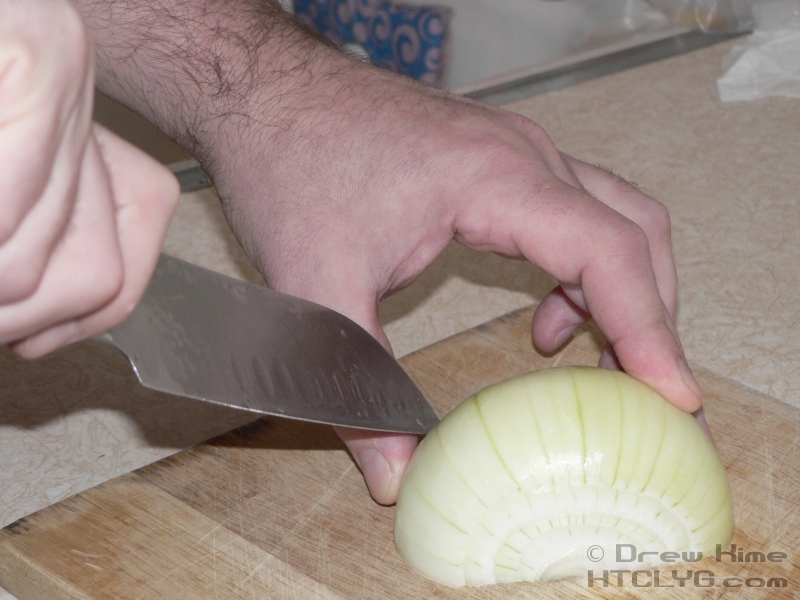 If you want long, even pieces instead of small ones, here’s how to slice an onion in shreds.